New Beginnings is a new program developed to ensure people like yourself, that may have had credit issues, the same opportunities as anyone else to improve their overall financial picture without discrimination due to credit score, credit history, and even bankruptcy. If financial freedom, security, and independence are important goals for you, Driveaway West is ready to help you! Our mission at Driveaway West is simple. We are here to serve the San Antonio community with any automotive needs. We have always been a dealership that specializes in financing everyone regardless of what their personal credit history may be. If you have no credit with no co-signer, we can finance you with some great first-time buyer programs. If you have had one or more repossessions, we can still help. You might have filed for bankruptcy in the past and now you want to re-establish after your discharge, we can help. If you have bad credit due to unpaid medical bills, student loans, credit cards, or loans of any kind, we can get you financed and on the way to re-establishing your credit in as little as 16-18 months. Don’t be fooled by other dealers–we have one of the largest selection pre-owned cars in the region. Don’t let anyone tell you that you cannot be financed to drive one of these high-quality vehicles. In order to take advantage of this program and to ensure quick processing of your loan, as well as the immediate delivery of your vehicle, please contact us as soon as possible. This enables the lender to quickly review your file in order to obtain the best possible financing package available to you. 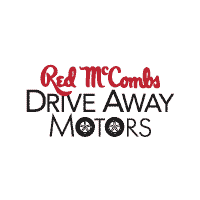 Because we are part of the McCombs family, we have access to big store banks and any of the 800 Pre-Owned vehicles at the 8 stores in the McCombs network. Because we are Driveaway Motors, you have access to a smaller staff and a more casual, family-like atmosphere. And unlike most small dealerships, we are very interested in seeing your credit improve because, once it does, we have the higher end inventory you want after you rebuild. Most small stores like to see you stay in your bad credit situation so that they can retain you as a customer. What if You Have Perfect Credit? That’s where we also have an advantage. Not only do our salespeople have access to ALL of the McCombs network pre-owned inventory (with prices from $9,999 to $79,999), and, here at Driveaway West, can even sell you any of our more than 800 New Fords! We have access to the same high end banks and Credit Unions as the larger franchise stores since we are a part of the McCombs group. So, even if you have never missed a beat on any of your bills in the past, you can still take advantage of all of the benefits of our little family at Driveaway.